London: The fight against malaria can be hard, but a team of researchers has found that the more effective way to beat the disease is to use less effective drugs some of the time. The current drug of choice for malaria - artemisinin - is extremely effective at saving lives from the disease, but artemisinin-resistant malaria parasites are spreading as the drug is used more and more. A computer simulation study now suggests that treating malaria in a population by simultaneously using a non-artemisinin therapy amongst more effective artemisinin-based combinations is the best way to combat the disease, while still reducing the spread of drug-resistant malaria. 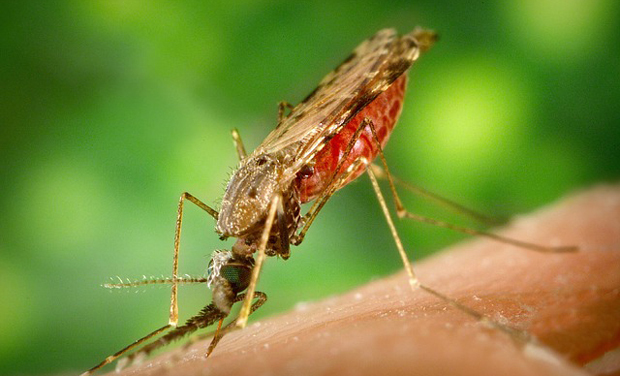 The Oxford University scientists found that this combination worked best even when the non-artemisinin drug was only effective 85 percent of the time in treating malaria. Currently, to stop the spread of artemisinin-resistant parasites, the World Health Organization (WHO) encourages the use of the drug in combination with other anti-malarials; the malaria parasite would have to become simultaneously resistant to both the drugs in order to survive this two-hit artemisinin combination therapy. However, malaria parasites in South-East Asia have begun to acquire characteristics to help evade even this double hit and these resistant strains are likely to spread over the next decade as the use of artemisinin combination therapies becomes more widespread. Health policy makers are therefore in bind, having to decide whether to safeguard artemisinin effectiveness (by avoiding its overuse), or to encourage the use of artemisinin wherever possible to save people's lives. Researcher Maciej Boni said that by deploying different antimalarial therapies simultaneously - including non-artemisinin-based therapies - national malaria control programs in Africa should be able to slow down the spread of artemisinin-resistant parasites when they are imported into the continent. The study is published in the Lancet Global Health.